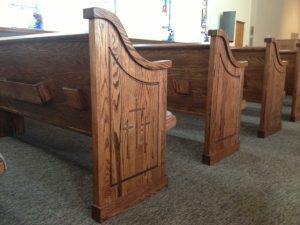 The new pew installation in Nashville, Illinois, is complete. 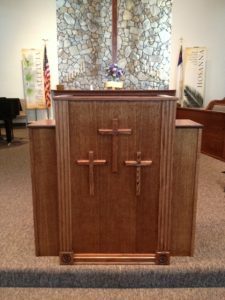 We enjoyed our visit there and feel a lot of satisfaction about giving the good people of Grace United Methodist a beautiful new look in their sanctuary. 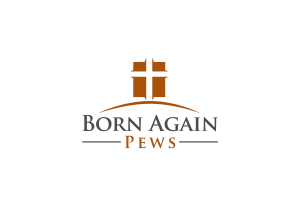 At Born Again Pews, we specialize in building, delivering, and installing fine oak worship furniture all over the country. We enjoy working with churches large and small, getting to know the congregation and designing the perfect church pews and sanctuary furnishings for the architecture and for the people. 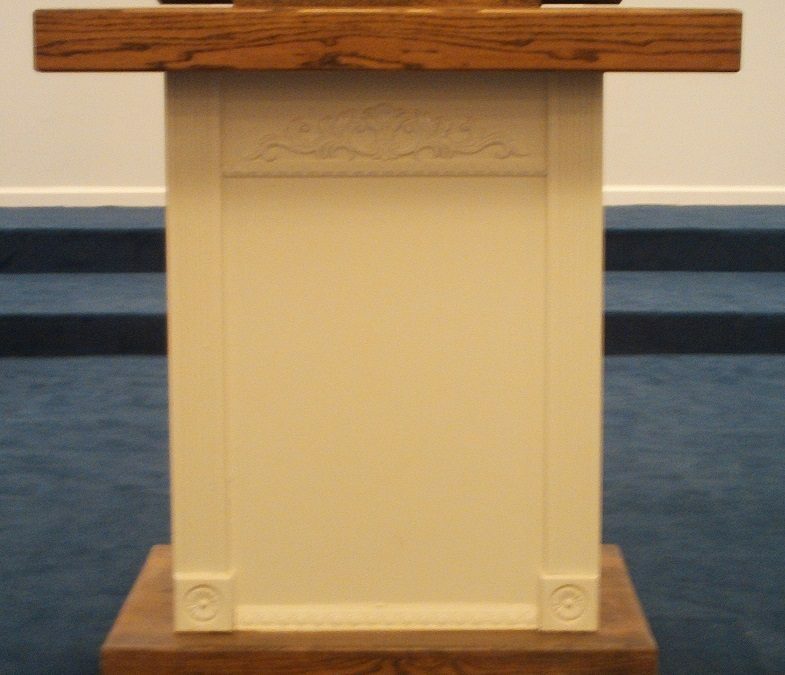 Using complementary design and materials for the pews, the pulpit, the font, and other church furniture ensures a harmonious experience for worshippers. 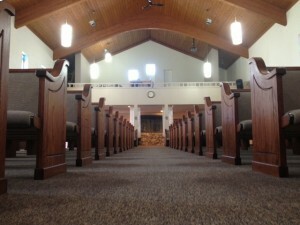 Making sure that the furniture of the sanctuary enhances and does not distract from the worship service is key. For this church, we built comfortable new pews with racks for their hymnals and pew Bibles. 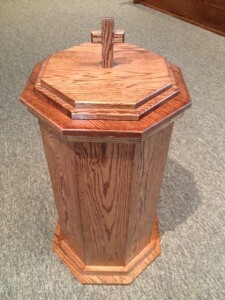 We also made a new pulpit for the church, coordinating with the pews. A font completes the effect.